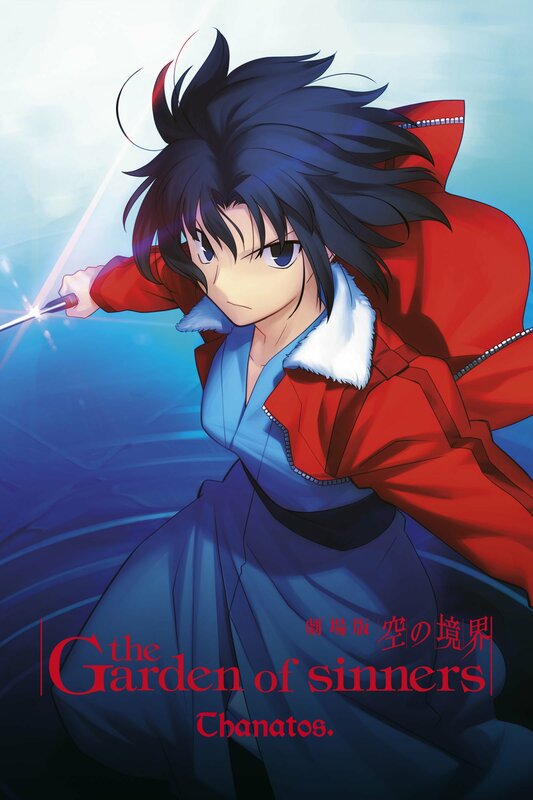 The Garden of Sinners Chapter 1: Overlooking View is a 50-minute movie released on December 1st, 2007. This is the first movie in a seven-part series. The movie is set in September of 1998 during a time where a series of strange suicides leave the locals in a fluster. The bazaar occurring grabs the attention of a local paranormal detective agency. The agency notices that there are some very suspicious coincidences between the suicides, Primarily that all the victims have been schoolgirls and they have all jumped of Fujou Building, a condemned skyscraper. It is not long until Touko Aozaki – the head of the agency – dispatches her two operatives, Mikiya Kokutou a college drop out studying the art of doll craftsmanship under Touko, and Shiki Ryougi a young girl who possesses the “Mystic Eyes of Death Perception”. A skill which allows her to see the death of any object and destroy it. My Review: This movie series will most likely really only be for a very niche audience. Personally, the series intrigues me and I would definitely like to watch the next few movies. My only issue it just that everything seems so sparse. I feel that I really don’t know anything about the characters or the world, and that just makes it hard to become invested. Although I will say that the what I do understand of the world is very interesting and really has a lot of promise to make an excellent show. There was also a nice little bit of action and while not being the main focus of the show, still does a nice job of breaking up the dialogue and I must add that it was well choreographed. I the garden of sinners would resonate well with anyone intrested in dark, phycological and horror animes.